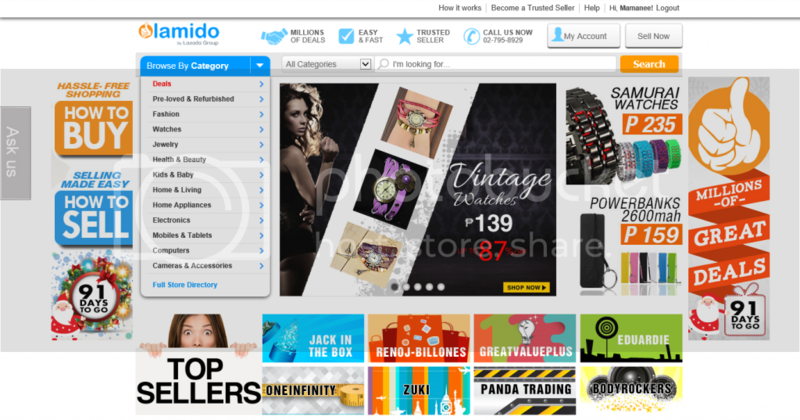 Feature| Lamido Buy and Sell: Your online shopping just got better! If you are an online shopper like I am then you would have your nose dug into the now non-existent Sulit.com.ph which is now Olx.com.ph, or even online stores on Instagram and Facebook. The online retail market has made it's boom ever since your good ol' Multiply days and you could hardly consider them as secure unless one would post their 'feedback' accompanied with a photo for proof from a client. If you are an online shopper like me then there are certain things that you would be highly expecting: variety, hassle-free transaction and most of all security. Coming across Lamido Buy and sell, initially gave me the impression that it is like any other e-commerce website but I was wrong. I was pretty impressed by the wide array of choices plus how they were highlighted. There is a section where you can shop for items 500php and below which really gives you time to look around something to buy within your budget given the scenario you needed to give a gift. Lamido has also open up the opportunity to buy items via C.O.D. (cash-on-hand), makes me feel much more safer than having to deposit the money and wait nervously for your items to arrive. Unfortunately, there are scammer's lurking to victim people using online transactions. See their easy and safe payment options here. Choose from these easy and safe payment options. 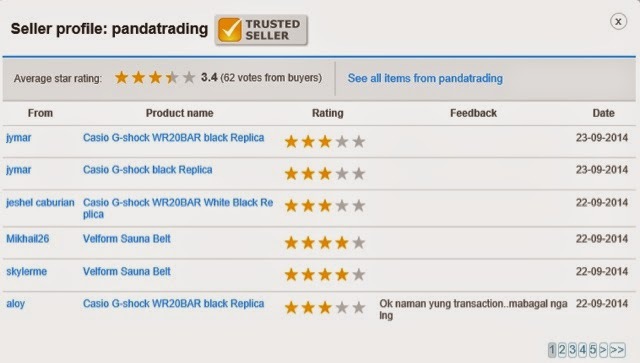 I also love how feedback is highlighted in a seller's profile, definitely gives the security knowing that this seller actually has had successful transactions as well as providing quality products. 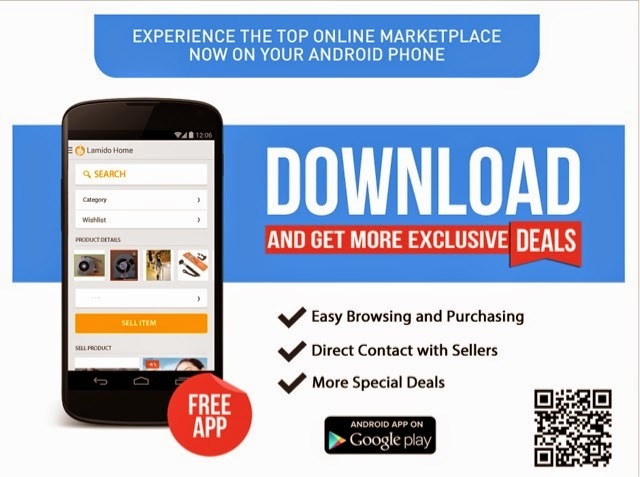 Shopping online never can get easier than this, especially that Lamido Buy and Sell has now developed an app specially for Andriod users. You get the chance to connect to seller's by instant messaging, there are daily notification for special offers and promotions and you also have the Bank transfer and COD payment option available. You need to download this app if you have an Android phone because you get exclusive deals which are not available on the desktop version. Visit and go shop now on the Lamido Buy and Sell website - there is definitely a deal that is waiting for you. Just type in http://www.lamido.com.ph/. *Disclosure: I was compensated for the purpose of a feature and a review. The opinions and views expressed here are based on my actual and truthful experience of the product/website. * I believe in truthful blogging for the benefit of my readers and only endorse products/events that I believe in. All this time, I kept on ignoring Lamido. Thanks for sharing Mommy! It's worth a try. There are a wide range of products and I really love the Cash on delivery option. I have tried online selling and shopping but not yet tried Lamido. Oops, as an online shopping addict, this is bad news! Hehe. My favorite portal still remains to be eBay, but I will surely check this out. Now I know what lamido is :) thanks for sharing mommy. Will check it out later. You're welcome and thanks for dropping by! Online shopping is such a convenience right? Thanks for reading! Is Lamido a new shopping website? It's my first time to read about them. Oh! Another shopping site! I like that they offer cash on delivery...I feel more secure pag ganyan ang payment setup eh. True yan Kim! At nakakatakot nowadays kase pag ka deposit minsan nawawala na si seller hehe.